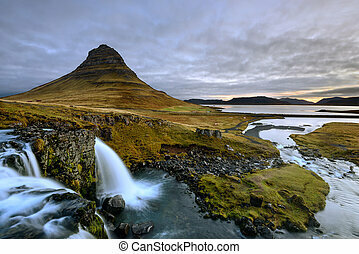 Aurora at kirkjufell and waterfall kirkjufellsfoss, landmark of iceland. 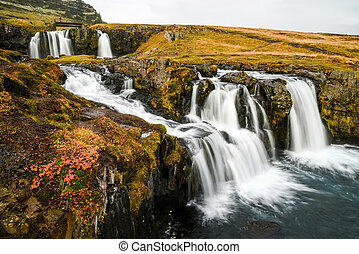 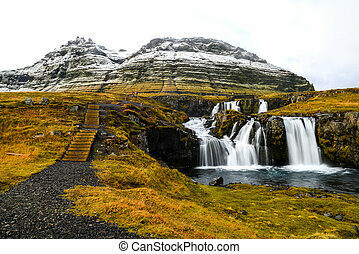 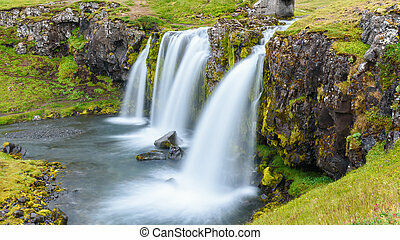 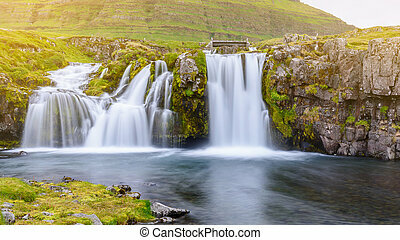 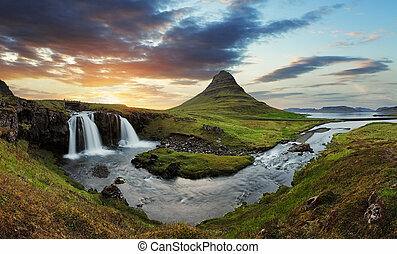 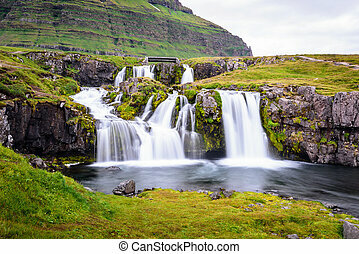 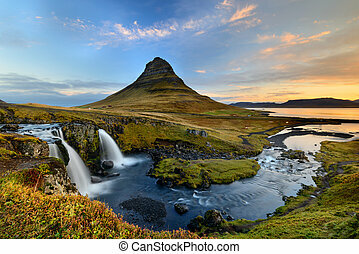 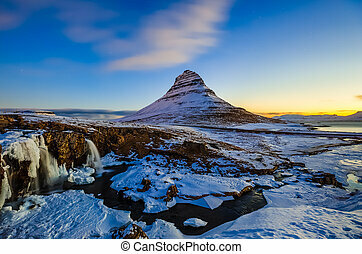 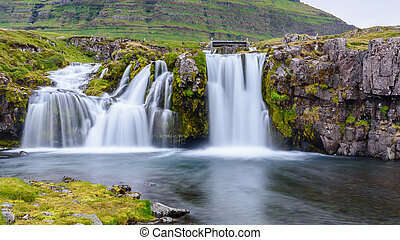 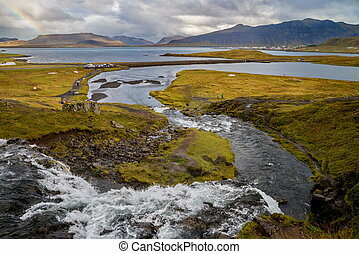 Kirkjufell (church mountain) is mountain on the north coast of iceland's snæfellsnes peninsula. 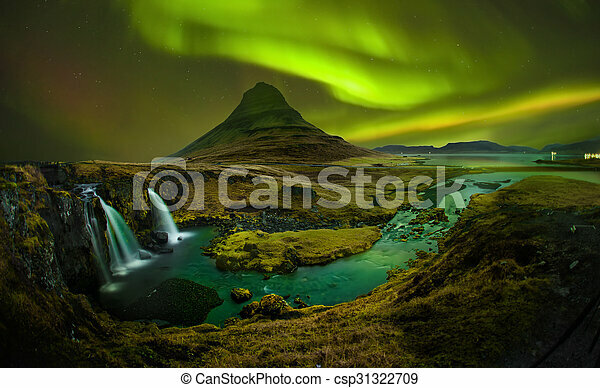 Aurora At Kirkjufell And Waterfall Kirkjufellsfoss, Landmark Of Iceland. 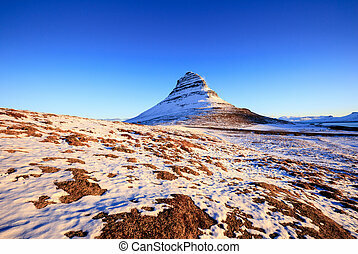 Kirkjufell (Church mountain) is mountain on the north coast of Iceland's Snæfellsnes peninsula.